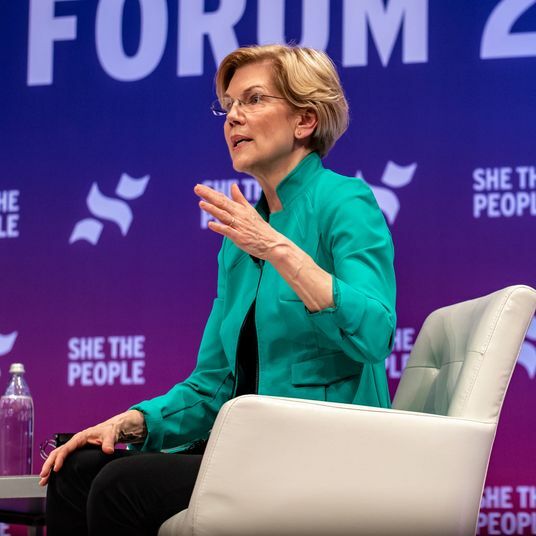 Turns out that Richard Grenell, Mitt Romney’s brand-new spokesman for national security and foreign affairs, has lots of opinions on how women should look. 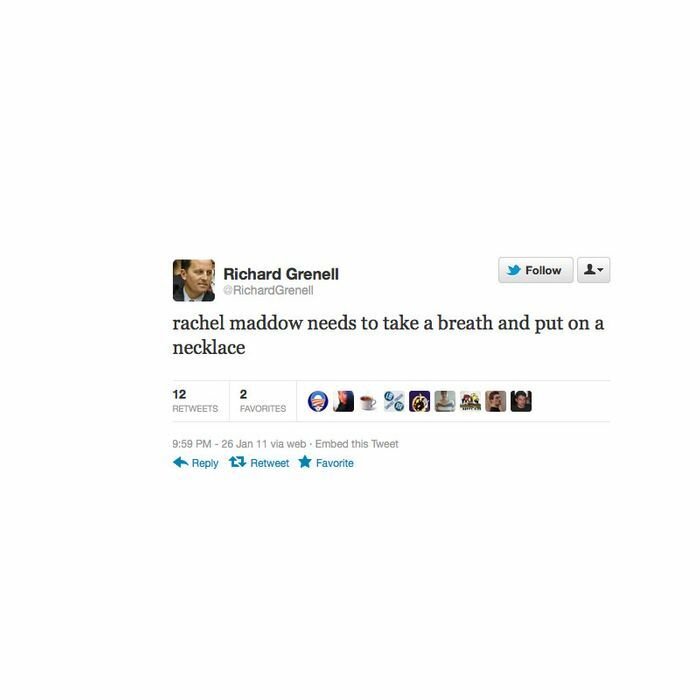 Take, for example, the above tweet from January 2011, in which Grenell suggests Rachel Maddow “put on a necklace.” Will this become the newest front in the never-ending, not-totally-substantive War for the Sympathies of Women Voters that has dominated the 2012 general election thus far? 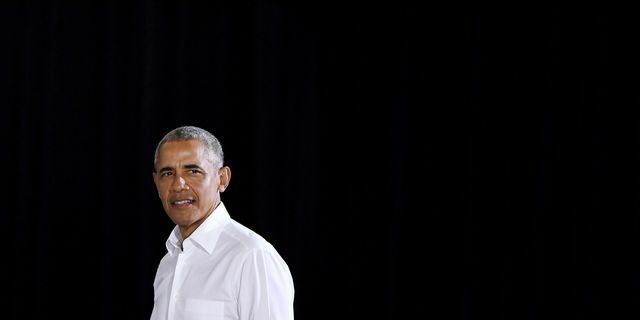 Will this also be the war’s most complex and dicey skirmish to date, considering that Grenell also happens to be gay? Tune in next week if you hate yourself!